Many times, in the past, the speculations of the scientific community centered around excuses for occurrences that were believed to have happened that caused events that were called evolutionary in nature. The way planets were formed in the early stages of planet evolution, for example. The exact reasons were not exactly clear and when theories didn’t work to explain one theory that didn’t validate a belief of how a planet formed, or what happened to shape the planets, for example. Or to say, that sometimes theories didn’t work together to explain what is known to be facts. As more information became available through advanced studies and with the applications of technologies, such as probes landing on planets, many of the past theories and speculated reasons for things became invalidated. Like the actual age of planets going along with the evolutionary theories. Planets would have to form from the Big Bang before the dinosaurs, for example. I was watching a video on YouTube that was made by creation scientists. In the video the speaker explained how many past theories and beliefs in the scientific (belief in evolution) community had become invalidated. One of the main theories was the age of the planets believed to be extremely old, but data in recent discoveries discounts those dates with respect to overall vale in science, when discussing facts. The response from the leadership in the (belief in evolution scientific community) has been to blame unexplained facts on asteroid impacts. If they don’t really know what happened, or the theory constructed has been disproved by new factual data, the process to explain away the incorrect reasoning is to blame asteroid impacts on unknown events in the past. Events that were wrongly explained that were believed to be relative to the overall theory of evolution. The theory of evolution isn’t completely dead but there are huge holes in the logic of believing in it. The actual work in the validation of the Electromagnetic Field Theory (EMF) did not validate Big Bang Theory. It actually disproved it. The EMF validation being the most important work in math and physics in relation to proving or disproving the Big Bang Theory. As it turned out, it looks like they lied about it. The work directly invalidated the theory of Big Bang and that in turn actually put a damper on the Evolutionary theory. So it wasn’t looking too good for the Big Bang/Evolutionary theorists. The asteroid excuse became prevalent as time went by. New facts, more asteroid excuses. Like “pathogenic beliefs.” See the In Treatment episode “Sophie” on YouTube. Narration by Controlmastery. https://www.youtube.com/watch?v=qjdvYtg8xvE This video explains how pathogenic beliefs work. It is extremely interesting. Reminds me of the excuse makers in the evolution believers community. 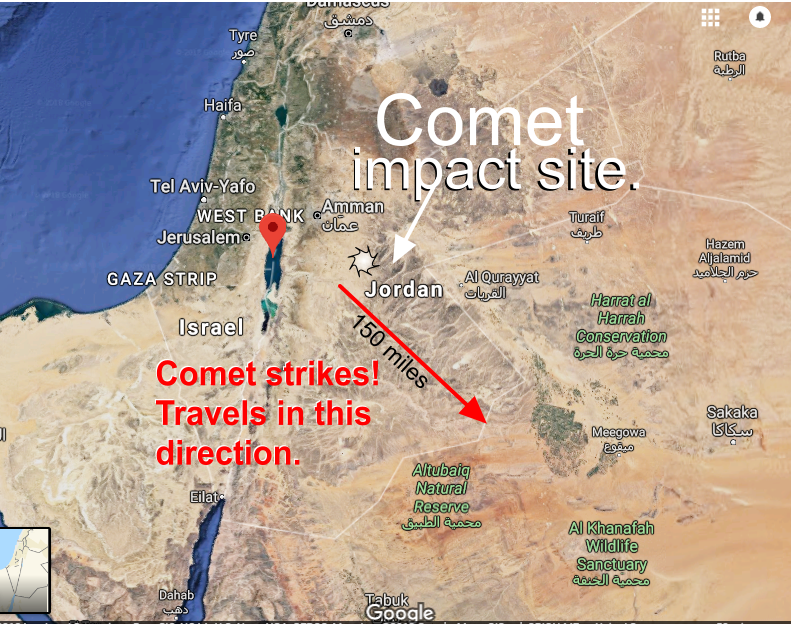 I know that it is predictable that the obvious impact site in Jordan form a gigantic object, possibly a comet, that would give proof to the biblical claim that cities were destroyed by God along with Sodom and Gomorrah, would be ignored by the evolutionary scientists. 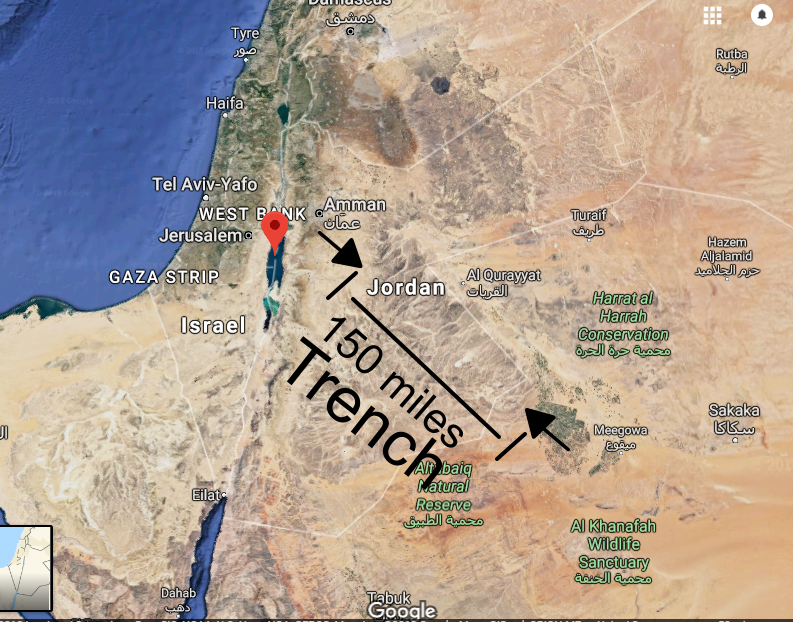 But the evidence is difficult to overlook when the trench left by the impact is 159 miles long. Previously overlooked by scientists trying to make a determination of the fire and brimstone story in the Bible. An impact that large would generate enough fire and brimstone to destroy the cities in the area. There is no doubt. This satellite imagery shows the clear path of the object plowing through the earth. I believe there was a mountain range above the trench area before the impact. A blast area mixed with a debris field is clear in pattern in front of the trench. Partly due to falling rocks and heated material and the top of the mountain falling right after the impact occurred. This destruction would cause the cities to be destroyed. The belief that Sodom and Gomorrah were located in northern Israel was one thing that kept the impact area that would account for the story of Sodom and Gomorrah being destroyed by God, from being discovered. Understanding the actual location of the first temple called Jerusalem was key to my making the determination of the location of Sodom and Gomorrah. 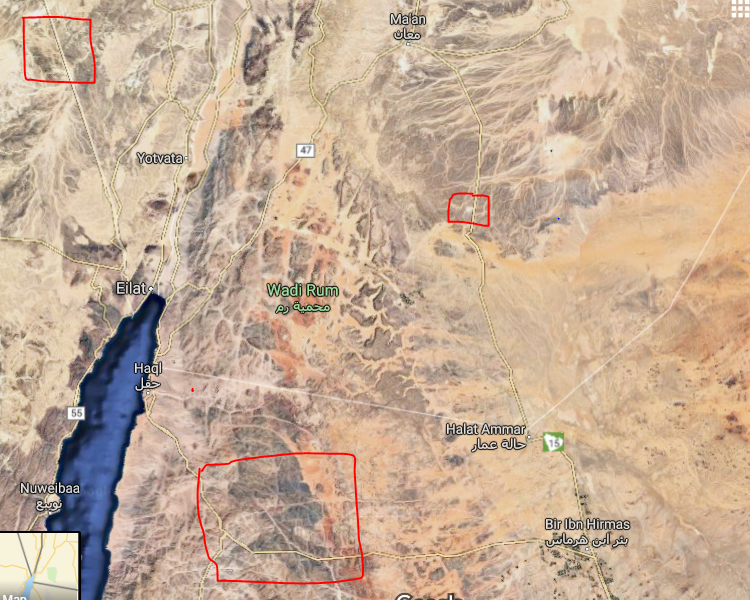 The primary reason that I though Sodom and Gomorrah were actually in the south of Israel along the Sinai – Israel border and east and south of the city of Eilat. 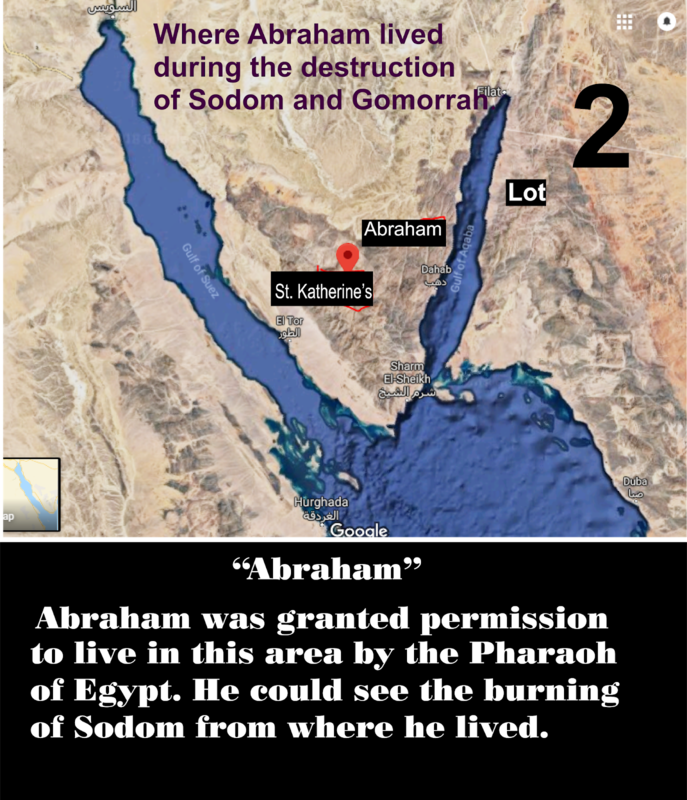 Previous Post Comet Impact Theory – How Sodom and Gomorrah Were Destroyed.